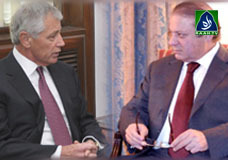 Nawaz-Chuck Hagel meeting in Islamabad. Bangladesh court orders Jamaat-e-Islami party member Abdul Kader Mullah to be hanged. Blockade of ‘Gaza Strip’ by Israel.